Toronto, ON – August 10, 2017 – Blueprint, a leader in SaaS solutions for automating business and IT alignment to de-risk and accelerate digital transformation in large organizations, today announced the company achieved double-digit growth for its 2017 fiscal year ended June 30, 2017. This marks Blueprint’s fourth consecutive year of double-digit growth, fueled by new products, customer acquisitions, partner relationships, and the increasing urgency for organizations to better align IT and business to support their transformations to digital-first enterprises. “We are proud of the impact we’ve had on increasing the value and speed of our customers’ digital transformations. Our flagship product, Storyteller, leads the market in driving the evolution of Agile and DevOps to BizDevOps, the practice of automating the alignment of IT deliverables with business objectives at every stage in the toolchain,” said Dan Shimmerman, CEO of Blueprint. Blueprint continues to focus on supporting the world’s leading enterprises in their Agile and DevOps transformations as they deliver products aligned to market needs. 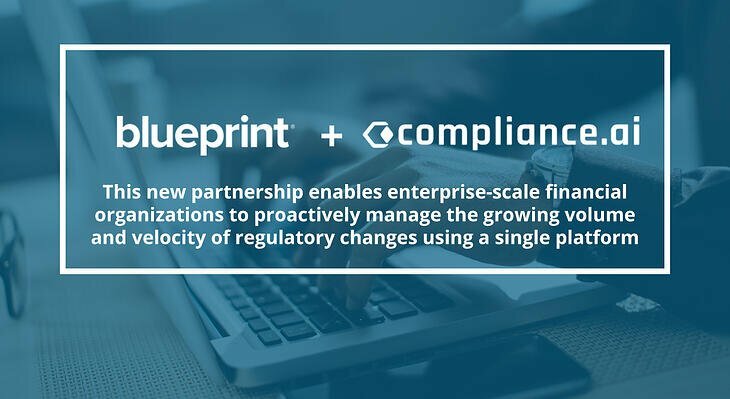 In 2017, Blueprint acquired new customers across all major industries and geographies, including FireEye, CNO Financial Group and Caesars Entertainment. 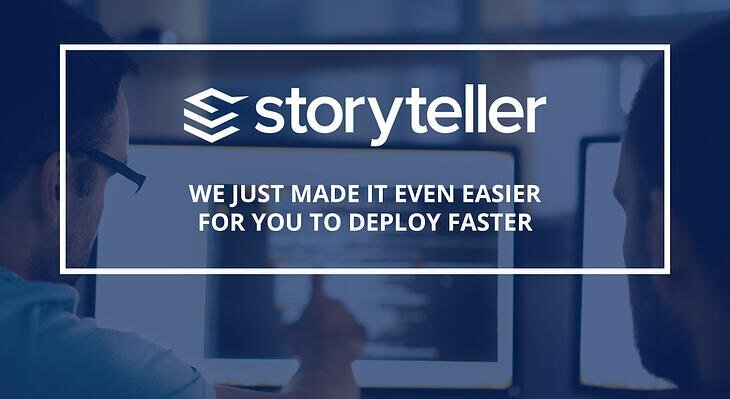 Blueprint led the market with product innovations for automating the front end of enterprise software development and delivery lifecycles with four releases of Storyteller, its flagship solution. Blueprint extended its leadership in delivering business-critical Agile planning and definition content, including the addition of easy-to-access compliance requirements through a partnership with the Unified Compliance Framework, a leading provider of targeted, harmonized research for organizations to achieve and maintain compliance with industry, government, and best practice demands. Blueprint was recognized for its contributions to Agile and DevOps innovation which resulted in strong coverage from industry thought leaders, including: Honorable Mention in Gartner Group’s Agile Planning Magic Quadrant and coverage in the Forrester Research Vendor Landscape Report for Agile Requirements Management. In addition, Blueprint spearheaded independent thought leadership activities, including a series of global networking events for hundreds of IT leaders, on the future of AI and automation in the software development lifecycle. Blueprint drew from its impressive management bench strength with the internal promotions of Claytie Moorman to Chief Customer Officer and Ruth Zive to Chief Marketing Officer. Prior to joining Blueprint, Claytie led services for IBM and has implemented software solutions for many of the world’s largest organizations. Prior to joining Blueprint, Ruth owned a marketing consultancy that worked with innovative, digital leaders in the technology and retail industries. Blueprint anticipates continued double-digit growth, supported by global expansion and adoption of its next generation of machine learning and AI-powered product innovation to help organizations deliver better software faster. “With the imperative of digital transformation looming large, we will continue to help our customers centralize their data, leverage AI-driven automation and align business and IT priorities at the front end of the software development life cycle,” said Dan Shimmerman, CEO of Blueprint. Blueprint provides industry-leading solutions that accelerate and de-risk the digital transformation of large organizations. Our products – Blueprint Storyteller and Blueprint Regulatory Change Manager – resolve many of the time-consuming, costly, and error- prone functions that challenge IT organizations. Our products sit at the front of the toolchain, ensuring alignment of business and IT stakeholders. We’ve created solutions that drive innovation and collaboration, ensure regulatory compliance, and protect the business value of products from definition to delivery. For more information, please visit https://www.blueprintsys.com.